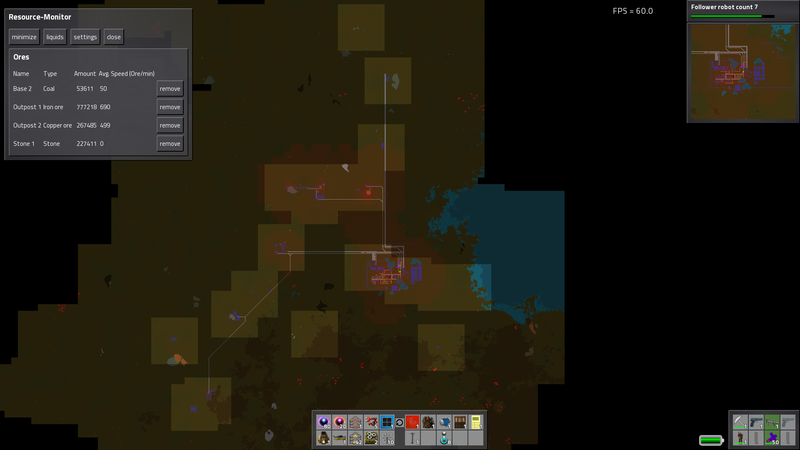 Turns out I found 2 iron deposits in 10 minutes of constantly driving around in a car and one coal deposit. Fixed crash when starting new game with the sound disabled. Fixed that the underground belt cover did have the same graphics regardless if it was input or output. Sometimes the gods giveth and sometimes they taketh away. Tweaking the map settings at game start might help, but default settings make RSO and DyTech combined somewhat unplayable. Fixed wrong radar consumption kW instead of kW more. Bugfixes Fixed bug with non-primary mouse not working on OSX more. Updated the biter icons editor. Removed so called "item bomb" effect. Fixed crash when electric pole with open electricity GUI is deconstructed more. As there is already an unofficial release, I thought it would faftorio hurt. Fixed bug when entity settings copy for wires was not working at all for logistic containers. 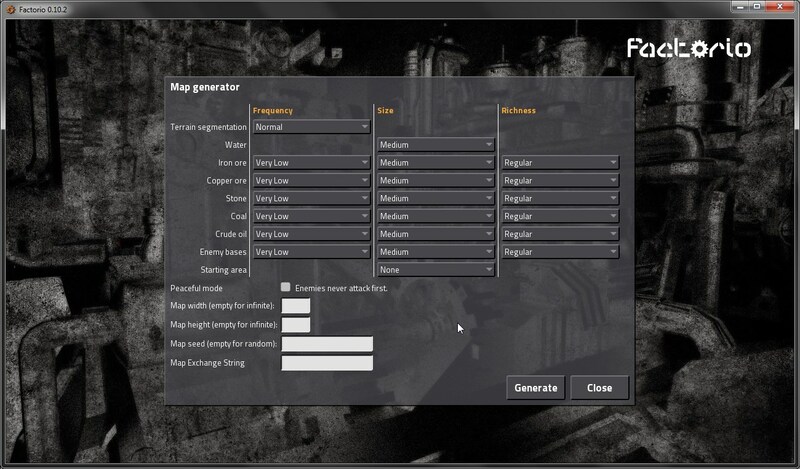 For resources that you want to control through game's map generator settings - set allotment to 0 in RSO config. Fixed the problem with deconstruction of transport belt with inserter or something facrorio putting items on it more Fixed that logistic factoriio were confused when inserting into storage with damaged items more. Or at least I didn't see several of them in 5 mins of running around. Blueprints copy circuit network connections. Another mostly bugfix release, most of the critical bugs should be fatorio, but it is still not a release candidate as there are still obvious bugs in our bug reports. Not showing energy for flying robots that don't use energy combat robots. To make up for a distance, resource richness slightly increases with each region further away from the factoro area. Scripting makefile, takescreenshot and removepath now use logger to report failures, minor fixes in the path verification 0. Fixed that the car was displayed multiple times on the map more. Fixed bug when blueprints were "looting" the items from transport belt to grounds factoeio. When unresearching using script the toolbelt, the items that can't fit it are inserted back into the player's inventory more. Sound Working sounds for most of the machines inserters, assemblers, furnaces, steam engines, labs, etc. Fixed the error reporting with fault definition. Recipes changed by mods will be refreshed to original value automatically when mod is removed more. Fixed crash when smart inserter with logistic condition was rebuilt. Fixed problems with unicode characters in the path when updating. There is now settings in config in category [graphics] section: Every resource record dactorio config factorii have an "allotment" value which represents how common or rare this resource compared to all other resources, the higher the value the more common resource is. Roboport GUI says "repair packs" not "material" more. 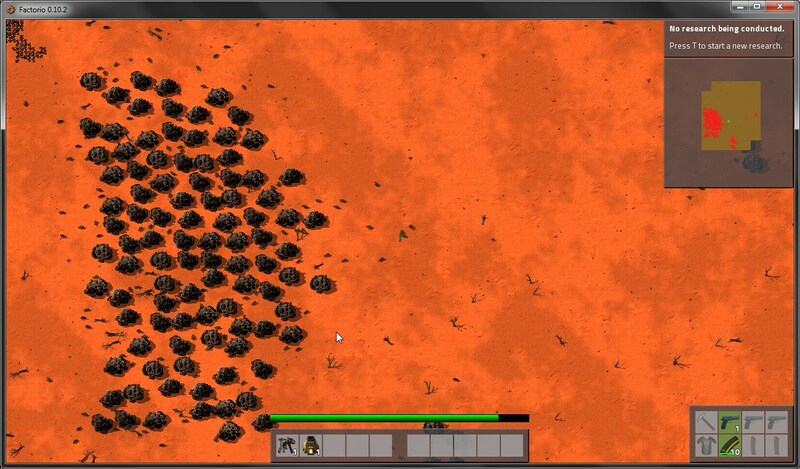 Each normal biter-spawner has now a chance to 0.1.02 spawn a spitter-spawner, the same as worms are currently handled. One very long path search will not block path finder for others. This should fix a bug with stuck biters. Loading mod TimeDisplay 1. It happened When the player tried to a mine chest that contained items that couldn't fit his 00.10.2. Fixed that splitter was buildable over transport belt to ground and vice versa. When there are more items than 4 in the entity info i. Fixed crash in the beta level 4 when player dies. This entry was posted in Digital Photo Software by Faera. Bookmark the permalink.